Going into 2019, we're going to see the technology market continue to transform and adapt to new customer demands. In particular, IT and data companies will be collecting, analyzing and providing insights about vast volumes of data - more so than ever before. Businesses will need to start thinking about the future of how they perform these tasks, and how to take advantage of new solutions that can make the jobs and lives of the people responsible for these tasks easier. New solutions can also guarantee more security and reliability, enabling better relationships with customers. The benefits that blockchain will bring to an organization's security protocols are unparalleled. However, there are other areas that will be affected as blockchain becomes more prominent in 2019. Traditional backup will give way to hyperconverged solutions. Convergence will occur between compliance, protection and security as businesses continue to address risks and exploit opportunity with the data they have access to. In the coming year, organizations that can effectively leverage blockchain will be the clear winners as technologies continue to converge. This makes blockchain ripe for the backup and recovery market because it can touch all pieces of data, stored in any location. As long as data exists, the need to tap into that data will also exist - but who has access to this data will be the real determinant of blockchain's power. As we look to 2019, we'll need to keep three groups in mind: the user, the organization and any third parties. Individuals will need the opportunity to delete their data and access it when they like. Organizations will want to use insights from the data to explore new opportunities. And both parties should be concerned with any threats from third parties. As we move into 2019, organizations will deploy more technology that enables predictive insights into IT infrastructure. Right now, most IT managers are taking a rearview mirror approach when reacting to unplanned downtime caused by interruptions related to software or hardware error, component failure or something even more catastrophic in the data center. Incorporating predictive technologies will enable proactive monitoring for downtime and faults so IT managers can take preventative action before a disruption ever occurs. Being more prescriptive can lead to fewer disruptions and less downtime in operations. Data protection stands to benefit the most from AI enabled predictive insights by reducing risk to data in a power disruption. And with regulations such as GDPR guaranteeing data protection for users at a business's expense, it is becoming increasingly important to keep data under lock and key. Proactive strategies to avoid the repercussions of even a moment of downtime will be critical for businesses in 2019 that need to provide round the clock data support. Pam Kerman is a senior manager of solutions marketing at Veritas. She has over 15 years of experience working with the broad technology landscape including positions at NetApp and Sun Microsystems. 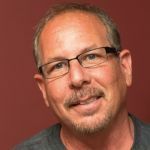 Eric Seidman is a director for solutions marketing at Veritas. He previously held positions at EMC, DataDirect Networks and Verari Systems in the product marketing departments. 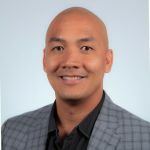 Alex Sakaguchi is a senior director for solutions marketing at Veritas where he is responsible for creating content and product storytelling. He has been with Veritas for over three years.